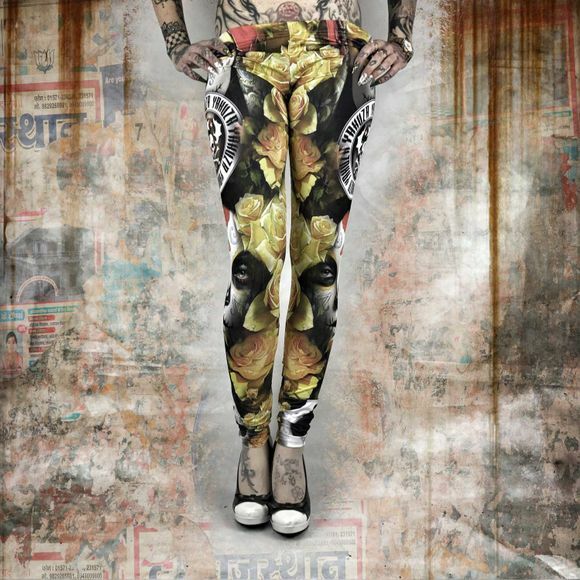 The model is 1,67m tall and wears size M.
YAKUZA FLOWERS OF DEATH Leggings are slick as hell leggings with a vintage allover print. These bone leggings are mid rise with an elastic waistband on the top so you don’t have to worry about cracks ... cuz that’s whack. Special fitting without side seams for extremely high wearing comfort. Please watch out for our size specifications and the washing instructions below.